Special Agent-Pilot Dale Harbolt was flying an ATF Cessna aircraft from Dallas to Oklahoma City under visual flight rules. For unknown reasons, the plane struck nearby power lines and impacted with the ground just prior to his landing approach in Oklahoma City. Agent Harbolt died at the scene. 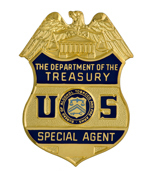 Agent Harbolt joined ATF on September 27, 1965, in Atlanta, GA. He was later transferred to Dallas as a special agent-pilot. Shortly before his death, Agent Harbolt was the recipient of a Special Achievement Award, in recognition of his outstanding support as one of three ATF pilots who followed organized crime suspects from Miami to Montreal, Canada. Inside the vehicle, the suspects was transporting 89 firearms for delivery to criminal associates in Canada. The three pilots, using a "slow flight configuration," along with numerous ATF vehicles on the ground, surveiled the suspects for three days covering a distance of 1700 miles and 100+ flight hours. This is recognized as the longest and probably most complicated surveillance in ATF history, as it involved eight different field divisions along with support from the Federal Aviation Administration. The surveillance planes had to fly around or through the airspace of multiple major airports as they traveled north to Canada. In Canada, the Royal Canadian Mounted Police arrested two suspects as they unloaded firearms from their vehicle. During his relatively brief career, Agent Harbolt also received several other commendations in 1967 and 1975. Previously, he was a detective with the Oklahoma City Police Department for eight years and a veteran, having proudly served in the U.S. Army from 1954-1956. Agent Harbolt was born in Oklahoma City, OK. He was survived by his wife, Jo Anne; and their children, Kelly and Michael.